It’s almost impossible to attack the DB device because there are no ports,no backdoors , no keys . The Most Hard to penetrate banking system ever developed . With the DigitalBank Vault Device , there is no third party involved , because we never store or know your private key , at any given time . We are the Fort Knox of Cryptocurrency Transfers . Using the DigitalBank wallet requires absolutely no technical skill and in fact you never have to download or install any applications on your computer or hardware device – ever. Your device automatically has all of the latest updates and features because it receives updates directly from our node in real time. This completely eliminates the possibility that the user can download corrupt software or accidentally download an update from the wrong location. At all times your wallet has all of the latest features without ever having to look for and update software. Eliminates any possibility of phishing attacks or corrupt software. We are continuously adding support for more cryptocurrencies and crypto assets and as they become available they will automatically appear in your wallet. You never have to check any website for updates or download anything. This also means that a single purchase of a DigitalBank Vault wallet will continue to have the latest technology and your device is never outdated or obsolete. This is a great long term investment and DigitalBank will continue to make sure that your wallet contains the latest cutting edge security and protection. The DigitalBank System guarantees secured lifetime access to you and the people you decide to share the account with , including heirs . User can access their funds at any time, even years later. It doesn’t matter if device is lost or missing. 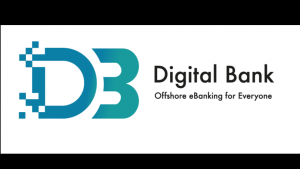 The DigitalBank device requires no technical skill at all. Impossible to lose funds due to user error.